Why buy a used hot tub from anyone else? Hi Everyone! New tubs have been added as of November 25th 2018...more tubs coming in every week as well. Let me know if you have any questions, or if you are looking for something that isn't pictured on the website. Some tubs have headrests included, but most do not. If you want new headrests, they can be ordered for an extra charge. Also, the warranty does NOT cover stereo/audio/television equipment, jet inserts, nor does it cover any damage from freezing...all other parts/services are covered. THANK YOU! Hello, thanks for visiting Hot Tub Dude...We buy used hot tubs that are working and less than 8 years old, and we remove spas working or not for a charge on a case by case basis if the spa is older than 8 years....Every individual situation is different, so please send pics of the spa if possible. If you are in the market for a hot tub, please note that many tubs never make it to the website, so get on the list ASAP (fill out a contact form) to receive pics of tubs as they come in. Email me at kevin@hottubdude.com with any questions, or call me at 651-755-8083, thank you! Our hours of operation are generally 10am to 6pm, but we are flexible... so if you would like to come by and see what we have available please call Kevin at 651-755-8083 to confirm an appointment to take a look, thanks! Our available spas on the "For Sale" pages represent just a sampling of our constantly changing inventory where you can find everything from 110 volt spas for 2 people up to 220 volt spas for 8+ people!! 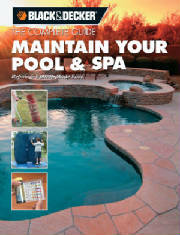 Looking for a pool/spa guidebook? Look no further, and purchase the Black and Decker Pool and Spa Maintenance Guide...we are proud to be a major contributor to the book!